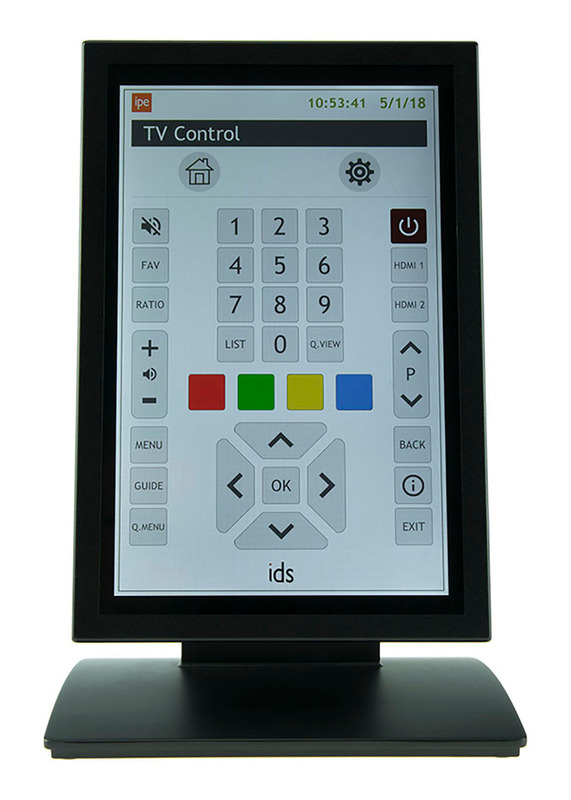 IDS, built on an IP backbone, is IPE's innovative and proven display and control solution that brings a refreshing and dynamic interface to the broadcasting, AV and corporate world. 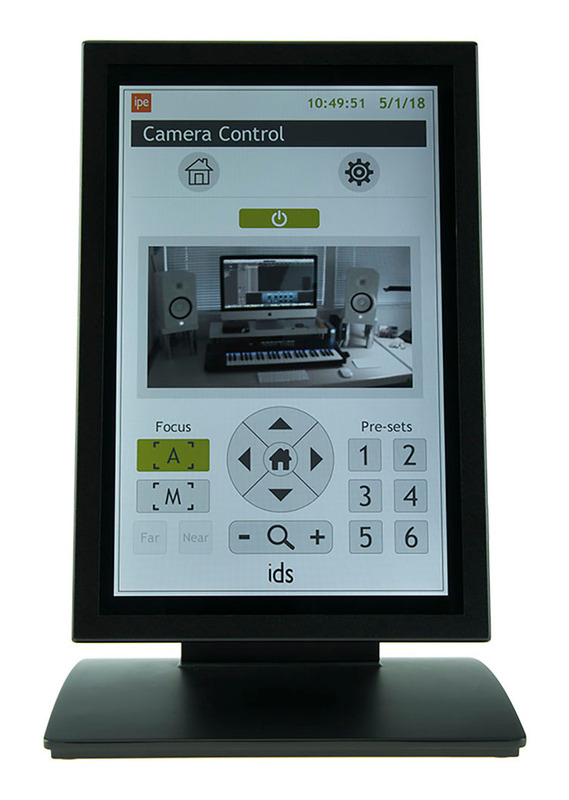 A scalable, network-based display and control system designed to totally change the way that you work, making your job as easy as it can get to achieve a seamless integration of all content. 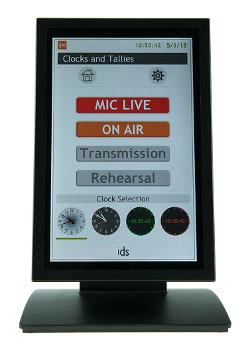 IDS was originally conceived as an alternative solution to the cumbersome and expensive clocks and tally units that were often custom built into broadcast studios and live environments. And it was here that we saw the opportunity for a flexible, network-based solution, capable of delivering that same information and much, much more using off-the-shelf display devices connected and managed via IP. 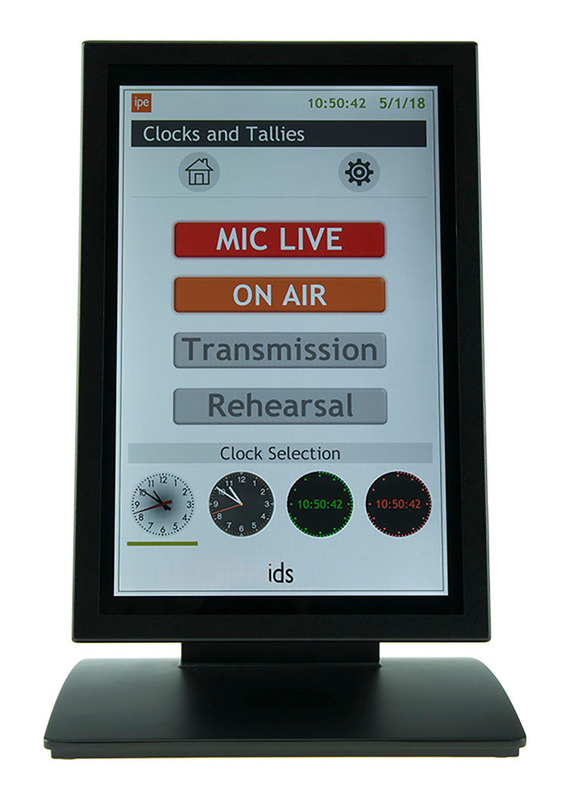 Typical applications include displaying NTP synchronised clocks, broadcast status, station alerts, branded and mixed media content, serial and IP interfacing with control devices. GPIO expansion, tally interfacing, dynamic noise level monitoring, control of remote IR devices, DMX lighting and production timers. Over IP, the capabilities if IDS are endless. 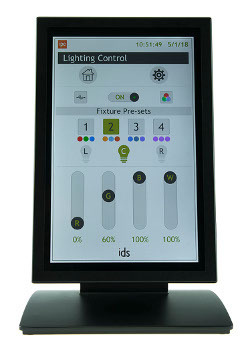 Developed in-house by IPE 10 years ago, IDS is unique to IPE and because it brings such a high level of ease and touchscreen control for the user, it is making its mark throughout the industry on a global scale. A key strength is its scalable system architecture, making the perfect building block for any system. 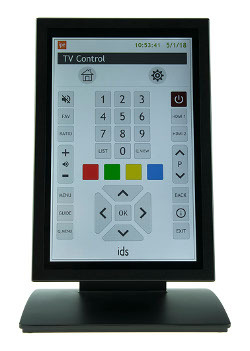 Integrating with essential broadcast equipment and interfaces with third party control and playout systems. Important for specifiers who need to be sure that they are buying future-proof adaptability and continue to choose equipment based on suitability and functionality, eliminating compatibility headaches. 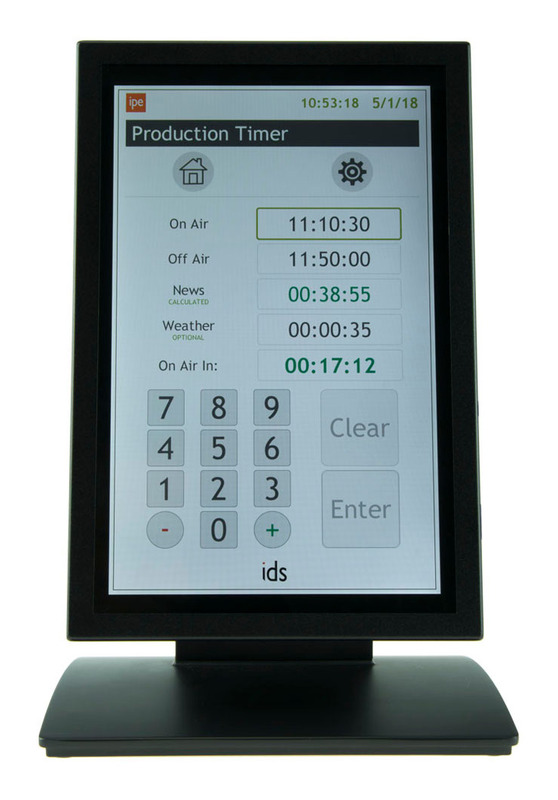 Clocks (analogue and digital), production timers, multi-time zones, up/down timers, off-set time recorders and tally interfaces – every device on an IDS network is synchronized using NTP/LTC. 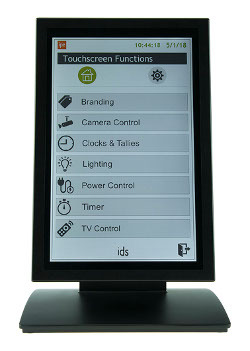 Dynamic information including clocks, cue lamps, scrolling text, control interfaces, video streams, URLs, RSS feeds, alerts, signage and branded media can be delivered to any connected display device. 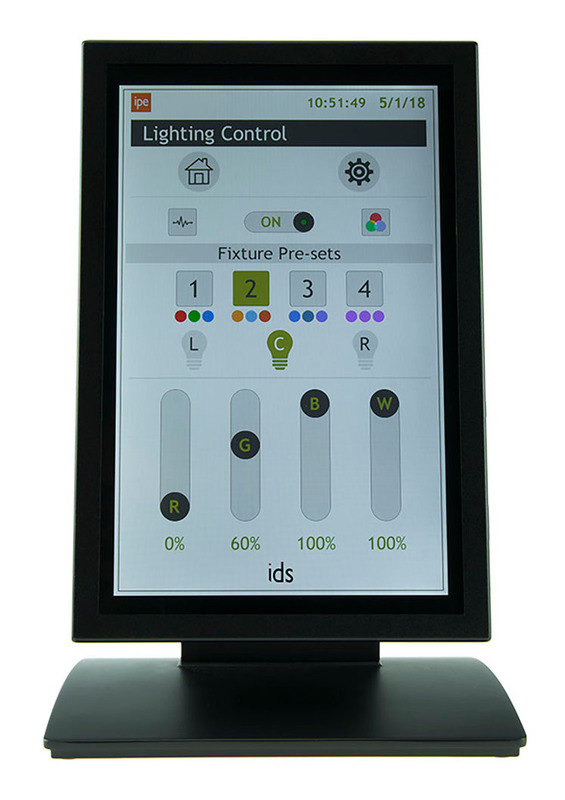 IDS doesn’t just interface with essential broadcast equipment, it also integrates with a growing number of third party control and playout systems including cameras, mixers and DMX lighting. 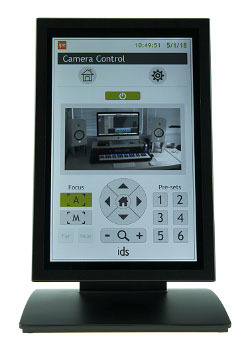 With live video streaming, media playback, messaging, RSS feeds, information is becoming increasingly complex. 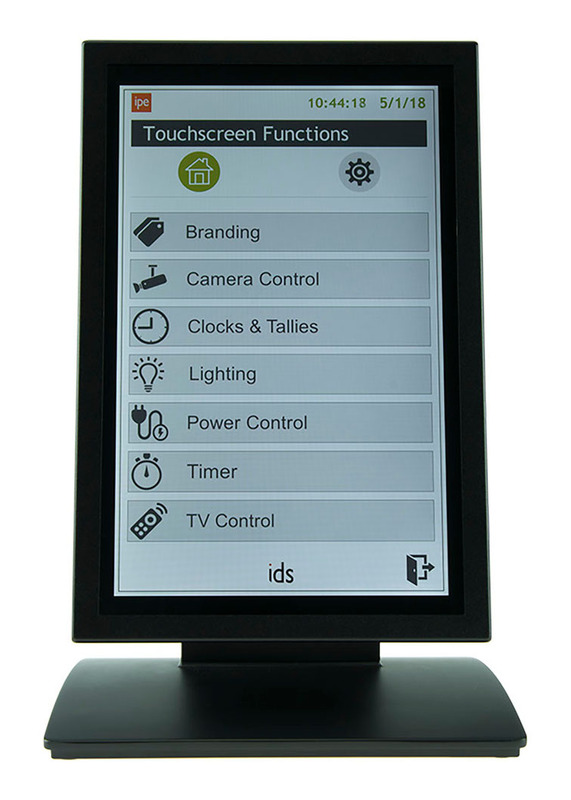 IDS simply lets you manage and distribute digital content to IDS display devices throughout your organisation. 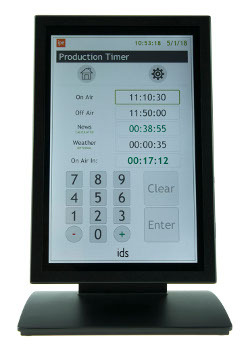 The IDS Production Timer provides users with a familiar interface including all the traditional Up, Down and To functionality, enhanced by a progression of displays to make the operation more intuitive.